Alleging a “culture of corruption” that includes the county Assessor/Recorder/Clerk’s Office, attorney Matt Strabone has launched a race to replace County Clerk Ernest Dronenburg. Strabone, 34, has other problems with the incumbent, 73. “Certainly Dronenburg has shown a troubling willingness to inject his own ideology into this nonpartisan position — the clearest example of this is when he tried to deny marriage licenses to LGBTQ people even after the Supreme Court struck down Proposition 8,” Strabone told Times of San Diego. A specialist in nonprofits, Strabone is a two-year North Park resident making his first attempt at elective office. He says Dronenburg’s office makes it too hard to get public land records. Dronenburg also fails to do an adequate job educating San Diego County residents about property tax exemptions, such as the Disabled Veterans’ Exemption, Strabone said. “Outreach about this important program will be a priority for me,” he said via email. “Finally, as we’ve seen with the recent SANDAG scandals (to name one example), there seems to be more than enough corruption to go around at the county level. Election Day isn’t until June 5, 2018. But Straybone already has a social media presence via Twitter. His website is VoteStrabone.com. 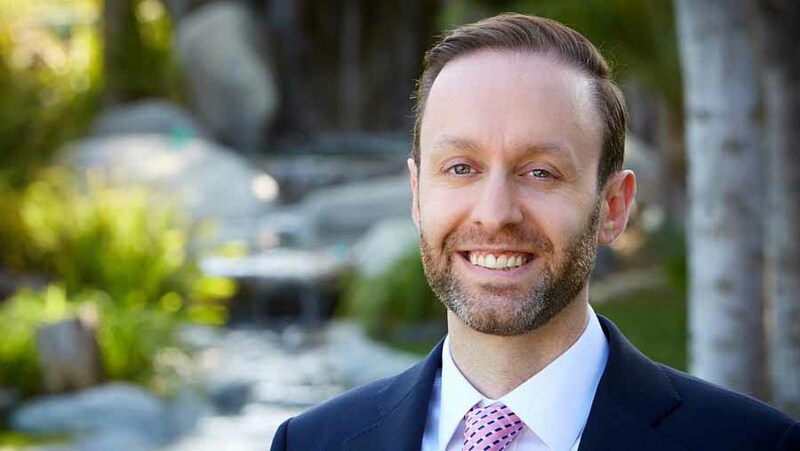 The owner of Strabone Law, he has advised numerous campaigns for office at the local, state, and federal levels, says a biography on San Diego Leadership Alliance, where he’s a board member. “He has also provided guidance to President Obama, national party committees, and state and county Democratic parties,” the bio says. He says he has published policy articles and op-eds on a range of topics in U.S. News & World Report, The Hill, The Diplomat, the Georgetown Public Policy Review, the Buffalo Public Interest Law Journal, and Circulate San Diego’s blog. “His media appearances have included stints on NBC San Diego’s ‘Politically Speaking’ program, KPBS San Diego Public Radio’s Midday Edition program, and Voice of San Diego’s VOSD podcast. He holds a bachelor’s degree from the University of Rochester and a J.D. from USC Law School, where he was development editor of the Southern California Review of Law and Social Justice.